The University of Aruba in collaboration with STC Group Rotterdam are organizing a workshop ‘IATA Air Transport of Hazardous Substances’. The workshop will take place from March 27 – April 1 at the University of Aruba. The focus of this workshop is on regulations, restrictions, classification, applicability, identification, packing, markings and labeling, documentation, handling and loading. 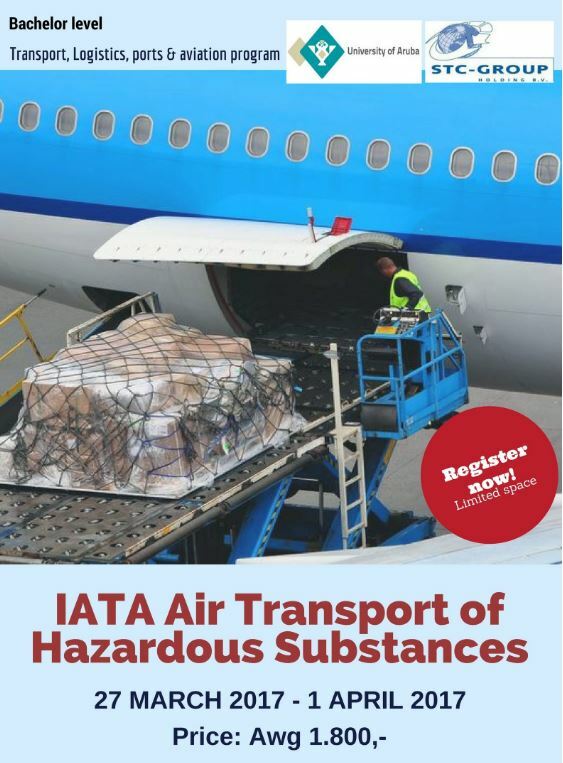 This workshop is intended for professional working in the field of packaging hazardous goods for transport by air. This workshop will be given in English by an STC lecturer. STC is an international training and education institute from Rotterdam, the Netherlands. For more information and registration for this course, please visit the website of the University of Aruba.